Having appeared as a soloist in Austria, France, Germany, Italy and The Bahamas, Ms Taylor maintains an active schedule across the United States, including recital engagements in Houston, Los Angeles, New York, Phoenix, San Francisco, and Washington DC. In 2014, she performed her Weill Carnegie Hall solo debut singing selections of Elgar’s Sea Pictures. Ms Taylor has also appeared as a finalist in both the Peter Elvins Vocal Competition (Cambridge, MA) and the Talents Lyriques, Reims Voix Sacrées Competition (Reims, France). In 2015, MSR Classics released Ms. Taylor’s solo debut CD of Wagner’s Wesendonck Lieder, Elgar’s Sea Pictures and ‘The Angel’s Farewell’ from The Dream of Gerontius, which has been reviewed as “lends her rich, dark mezzo to the lush texture of the work.” Fanfare; “Sarah Rose Taylor’s voice is warm, radiant and creamy…first class…” Music & Vision, Sydney; “Ms. Taylor’s ravishing voice… filled with lyrical tenderness and power as needed. I am very impressed with her vocal artistry. It (Wagner/Elgar CD) is unforgettable and Sarah Rose Taylor is a marvel!” Gapplegate Music Review. Ms. Taylor’s wide ranging oratorio repertoire has included solo role performances of Bach’s Mass in B Minor, Handel’s Messiah and Judas Maccabaeus, Haydn’s Mass in Time of War, Debussy’s Cantate La Damoiselle Elue and Arvo Pärt’s Passio. In 2015 she sang with The Tallis Scholars, directed by Peter Phillips, for Carnegie Hall’s Spem in alium Tallis Project. On the operatic stage, Ms. Taylor’s roles have included Marcellina and Cherubino in Mozart’s Le Nozze di Figaro, Third Lady in Mozart’s Die Zauberflöte, La Badessa in Puccini’s Suor Angelica, Sally in Barber’s A Hand of Bridge, and Francisco in the world premier of Bruce Saylor’s The Image Maker. Most recently she performed ‘Se Romeo’ from Bellini’s I Capuleti e i Montecchi with the AIMS Festival Orchestra in Graz, Austria. 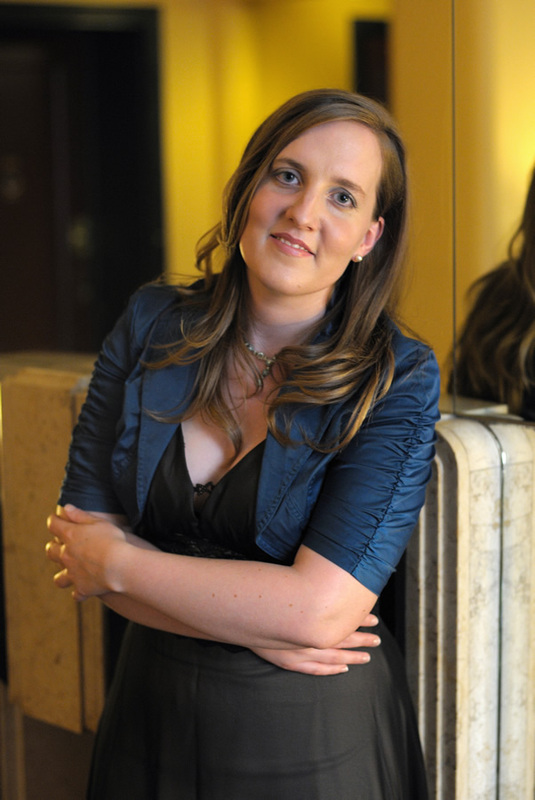 Born in England, Sarah Rose Taylor grew up in a rich musical choral tradition, singing in many of England’s Cathedrals with the Royal School of Church Music’s Southern Cathedral Singers. Since moving to the USA, she has been a member of several professional choirs in New York City and Charleston, SC. Ms Taylor has a Master’s degree and an Artist Diploma in Vocal Performance from The Aaron Copland School of Music in New York City where she studied with Sherry Overholt. She continues private study with Barbara Quintiliani and coaches with former Metropolitan Opera conductor, Steven Crawford. She also has degrees in French Studies from the British Institute in Paris and a Maîtrise in French Language Teaching from La Sorbonne, Paris.